President Muhammadu Buhari has approved the compulsory retirement of Justice Adeniyi Ademola of the Abuja Division of the Federal High Court and the dismissal from office of Justice O.O Tokode of the Benin Division of the Federal High Court following recommendations from the National Judicial Council (NJC). According to a statement by presidential spokesperson, Garba Shehu, Justice O.O. Tokode is also to refund all salaries and allowances earned illegally from December 2, 2015 when he was sworn-in as a Judge of the Federal High Court to date. 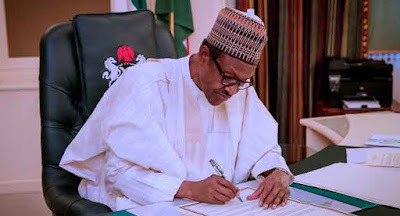 In a separate statement, also signed by Mr. Shehu, President Buhari said he has commenced “the process of ensuring that persons, judges and justices recommended by the National Judicial Council (NJC) for appointment into various Courts of Record in the instant are fit and proper, and are not under any disability to function as Judicial Officers.